What you expected to be a normal day became utterly unbearable when you turned your head and a searing pain developed in the bones and muscles of your neck, and now you don’t know what to do to cease the stabbing pain and burning ache. Every day, nearly 45 percent of America’s workers are afflicted with neck pain, which means millions of people are forced to endure excruciating discomfort during even the most routine tasks. With rest, heat, and pain killers, your neck pain will pass, but I can teach you how to prevent this pain from occurring again. After your neck heals, you should do your best to keep it strong and healthy by avoiding these common causes of pain and distress. Your appearance isn’t the only aspect that suffers when you display poor posture. By not building up core strength necessary to keep your spine straight, you are asking for a number of serious, long-term health problems, including reduced lung function and gastrointestinal pain. However, prolonged poor posture almost always leads to neck, shoulder, and back pain, as your unnaturally tense muscles pull and grow stiff to create stabbing, burning aches. You should practice proper posture in every position, including sitting, standing, sleeping, and running. It is important to remember that a stick-straight spine isn’t necessarily the healthiest pose; instead, you should keep your head upright and looking forward with your shoulders held back and relaxed. Overcorrecting your posture can lead to more pain, and you may need to check in with your body every now and again to make sure you are in the posture sweet spot. Sleeping stomach-down is one of the three most common sleeping positions, but in many ways, it is the worst option for your neck. Even though the arrangement has been shown to facilitate digestion, stomach sleepers must crane their necks sideways to breathe. Long hours with such a severely crooked neck is sure to cause you anguish in the morning. Sleeping on your side or on your back is much better for your neck and spine, but if you are having trouble falling and staying asleep in these alternate positions, there are a few sleeping methods that ease the tension caused by stomach sleeping. Even if you prefer to sleep on your back or side, you are at risk for neck pain if you use too many or too few pillows. In both positions, your pillow should only be high enough to keep your neck in line with the rest of your back. When your pile of pillows is too low or high, your neck will rest at an angle, causing tension and pain after several nights of sleep. Sleeping with your head elevated has plenty of benefits, to include decreased risk of snoring or sleep apnea and better drainage of congested airways, but pillows are an imperfect way to accomplish this. Instead, you should search out a mattress that can bend to support your body in an inclined position while you sleep, like anadjustable bed from Personal Comfort. The spine is one of the most complex structures in the human body, and it contains several components that are absolutely crucial to keep you upright, moving, and pain free. In particular, perfect spine health requires vertebral bones connected and cushioned by vertebral discs, which are strong, flexible doughnuts of cartilage that absorb shock and hold the system together. Unfortunately, continuous stress to any region of the spine — through poor posture or an improper sleep position — can expose the vertebral discs to wear, and as they degenerate, they cause unbearable pain, tingling, and numbness. Once degeneration of the vertebral discs begins, there is almost nothing you or your doctor can do to reverse the damage. 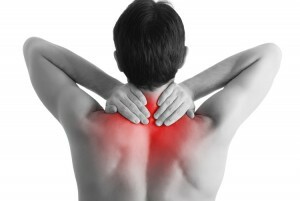 However, by being careful with your neck and spine throughout your lifetime, you can avoid this pain and trauma. Neck pain and stiffness can be annoying during the day-to-day, but if you ignore the warning signs and fail to change your posture and positioning, neck pain can become debilitating later in life. If you listen to your aches and make appropriate alterations in your body, you should have a strong, pain-free neck for the rest of your life.